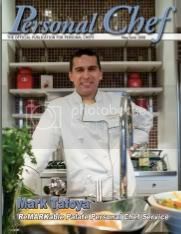 This summer season, I’m offering a special price on Personal Chef Dinners for 2, 4, or 6 people in Manhattan. It’s the perfect gift for a food lover, recent parent, or your sweetie, a fabulous way to thank clients for their business, or just an excuse to have a great gourmet dinner at home that you don’t have to cook! I present the recipient with a gift certificate for the service, which they can redeem when it’s convenient! Please ask me about the special Manhattan dinner pricing when you call. Please Note: Scheduling is subject to availability. To assure you get the date you want, please contact me with plenty of advanced notice, preferably 3 or 4 weeks in advance. Thanks!